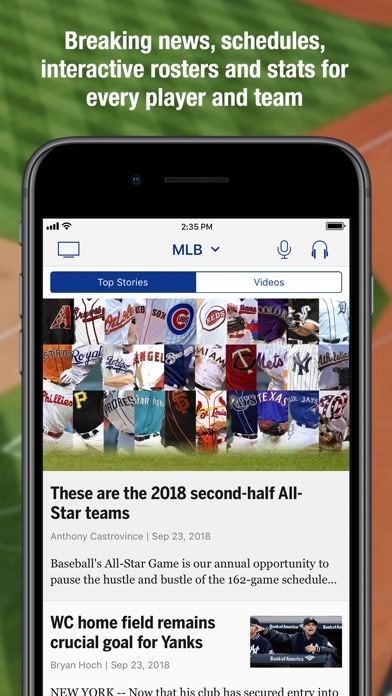 MLB At Bat App Data & Review - Sports - Apps Rankings! 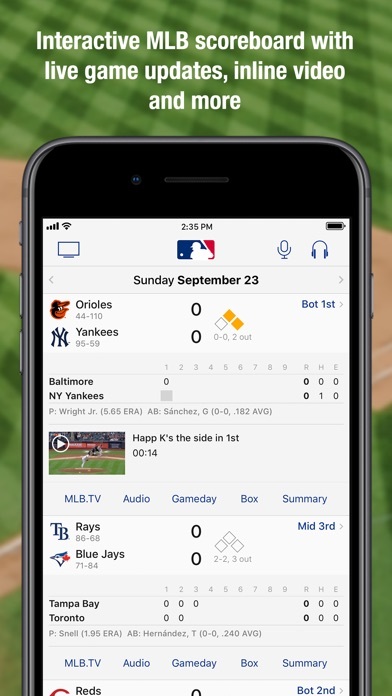 At Bat – the #1 source for live baseball on your iPhone and iPad – Is the official app of Major League Baseball. - MLB.TV All Teams subscribers receive At Bat’s premium features for free. 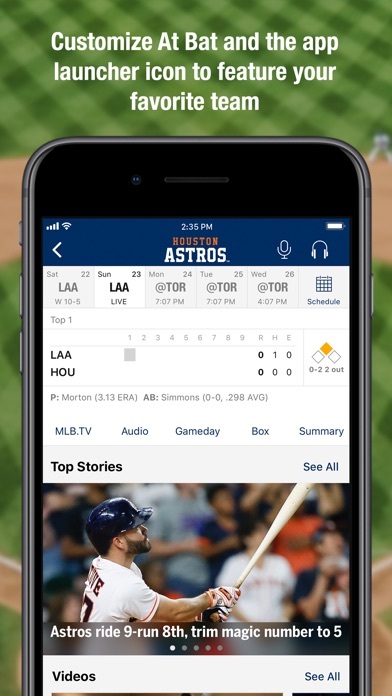 Access At Bat Premium for $2.99 per month or $19.99 annually. You will be automatically billed $2.99 through iTunes every 30 days or $19.99 every 365 days until you cancel your subscription. Your subscription automatically renews unless auto-renew is turned off at least 24-hours before the end of the current period. Your subscription can be managed and the auto-renewal may be turned off by going to the iTunes Account Settings after purchase. No cancellation of the current subscription is allowed during active subscription period. The applications MLB At Bat was published in the category Sports on 2012-02-29 and was developed by MLB. The file size is 175.71 MB. The current version is 12.1.4 and works well on 11.0 and high ios versions. 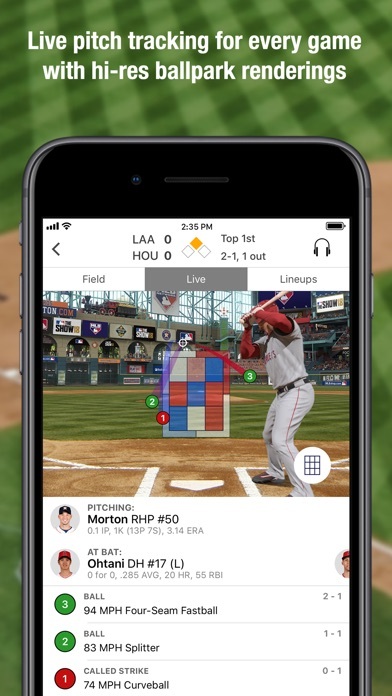 Do you like MLB At Bat applications? Please share! MLBatBat has been my favorite app for years. No issue with paying the annual $20 fee for access to the videos and games daily. My favorite part of the app was the ability to search video and seamlessly watch my favorite plays and players without any hesitation. This year.... the search bar is gone and there’s an advertisement before every single video. What’s the point of me paying $20? No search in video because they only show 25 videos total. So if you want to search you can’t. I use to get lost enjoying rewatching old videos. I can’t search for ‘review’ or ‘fan’ or ‘hit by pitch’ etc. and enjoy seeing other actions specific to baseball. Congratulations you’ve ruined a great app. Unless you fix all this I’ll never buy it again. I signed up so I could have one place to go to watch the Cubs play instead of sometimes they are on WGN, sometimes on ABC, sometimes on CBS Sports, etc. I don’t have a cable subscription that gets all the channels that the cubs could play on. Come to find out, it’s blacked out while I’m at home. What you hear now is that MLB is struggling to reach new, younger fans and that the sport is slowly dying do to their inability to attract a younger generation. Here’s and idea MLB! Try making your product more ACCESSIBLE instead of trying to milk every red cent out of your aging fan base! BTW, when I found out I was blacked out in my region I canceled my subscription that came with 1 free trial week immediately! Come to find out I still got charged the $25 for the week after my trial was up!!! What kind of BS is that!!! This app used to be amazing. However, they seem to have broken the Videos/Highlights section of box scores in their 2019 season update. Recent highlights work fine within the box score, but tapping the Videos tab reveals a "No highlights currently available" message. Many others have reported this, too, but so far, the outcry has fallen on deaf ears or the devs are too lazy to figure out a fix. Pretty disappointing for a longtime MLB.TV subscriber. This may be my last year if they don't fix this critical component of this app. Ads on the screen. Ads before highlights. Why do I pay for the app when I’m going to be inundated with ads? 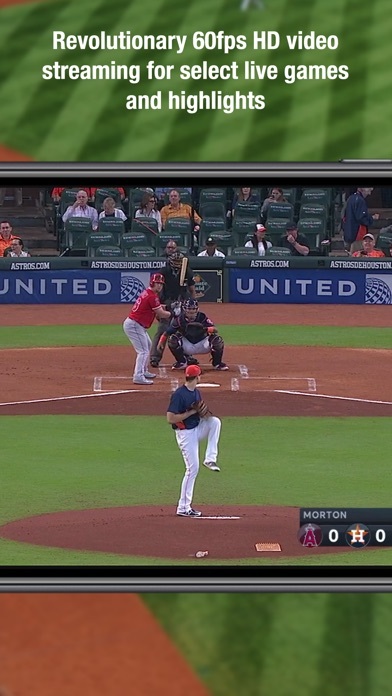 MLB.TV said this app would be 100% free with annual subscription, which we paid for in full in February 2019 for over $129.00 and app doesn't work. It doesn't allow us to log into our account or anything. Absolutely a scam! Much better than it's Android counterpart. Fewer bugs and so much extra content. Three bugs I have noticed: While scrolling through news articles, those Twitter inserts appear and disappear and make the articles difficult to read. There is a similar issue while looking at scoring plays. I scroll through and it forces me back to the top so I have to fight it to look at scoring plays in later innings. The third issue I had was a weird one. I am an MLB.tv subscriber and I tried to watch a game but it kept telling me I needed an MLB.tv subscription. Tried again in ten minutes and it worked. The subscription fee is $120/year so I hope this doesn't become a common occurrence. 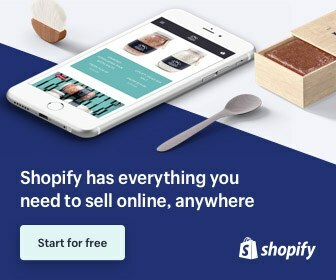 Why am I paying a subscription fee to be inundated by ads? I can understand an ad every now and then, but now there’s ads at the bottom of the screen and every time I click me on a highlight another ad pops up this is ridiculous! This app is getting worse and worse every year.